I start in race two, with CHAMPAGNE IN PARIS for Simon Morrish. From an inside barrier draw on debut, she chased well to finish second and then her following start she made all the running but was disappointing when weakened late on her home track. I assume from her two runs the instructions might be not to lead but she has drawn wide which makes it difficult on a tight turning track. If she has luck from the draw and performs like her first time out, she will be competitive. LEILA’S STAR is my ride in race three, for Peter Chow. She started this 3yo preparation off with a fast finishing second and then was impressive winning her second start at a track similar to Moonee Valley. At her last start, she stepped up to Listed grade and distance but weakened badly late. She is now back in grade, back in trip and has come up with a favourable barrier draw in gate one. If she shows her form from two starts back she is going to be in the finish in this small but competitive race. In race five, I ride WORLD OF HOPE for Dean Binaisse. She was very impressive and gave me an amazing acceleration at this course and distance seven days ago. She is usually awkward out of the barriers but if she holds her from last week, the track is playing evenly and she doesn’t have too much work to do, I can see her winning this. I start in race two, with BELLA LUCIANA for Michael, Wayne & John Hawkes. This Bel Esprit Filly is having her debut run. I haven’t ridden her in any work or barrier trials but I have seen her three jumpouts at Flemington. She hasn’t been asked to do too much and hasn’t shown much gate speed. She has come up with a favourable barrier and should give herself every chance to run well on debut. MARCHING ON is my ride in race four, for Mick Kent. He is a very consistent having run second on three occasions from his five starts. At his most recent start over a similar distance, I rode him at Sandown and thought he ran well. He gets the blinkers on for the first time, he has come up with a wide barrier draw but on his form he looks like the horse they have to beat. I start in race one, with CELEBRITY REIN for David & Ben Hayes & Tom Dabernig. This Excelebration Colt is on debut, as is the remainder of the field, all bar one. He has trialled nicely unofficially where he had good speed. If he performs like he did in the trial he will be there for a long way, but for him and the rest of them, it will be how they handle the day. BLINKY O’REILLY is my ride in race two, for Levi Kavanagh. He has been very consistent this preparation after the blinkers went on and his form reference through his maiden races is strong enough to win this if he gets luck from an outside draw. In race six, I ride MICHELIN for Patrick Payne. I rode him last time when finishing second on him at Sandown and I was impressed with his performance. He does take a bit to settle as he was keen throughout but I loved the way closed the race off. If there was any rain around, that would enhance his chances as he has good wet track form in NZ. He is still only 1.5kg off the minimum and if he relaxes and has come on from his last start run, he is the horse they all have to beat. HI SUPPOSE is my ride in race seven, for Michael Cornish & Donna Gaskin. She is an ultra-consistent Mare. Her two runs this time in have seen her finish no further back than third and she seems to make her own luck. She doesn’t look to be overly big but is very determined and extremely competitive. The barrier draw should give her every chance to run out 1400m strongly. I start in race one, with CLASSIC CHOICE for David & Ben Hayes & Tom Dabernig. This Filly has one official jumpout and she finished last of three. She showed very good natural speed but was a bit weak at the end of the trial. All of these horses are having their first start, except for one, so it will be interesting to see how they go. TOFFEE NOSE is my ride in race three, for Danny O’Brien and she wears the Champion Thoroughbred Colours. Her overall form is excellent and she has been placed at Group three level. Her first up run was disappointing but she gets blinkers on for the first time and if she finds her usual form she will be one of the main chances in this small but competitive race. GWENNETH is my ride in race six, for Mitchell Beer & Max Hinton. She has been very consistent this preparation as she hasn’t finished further back than third and she did win two starts ago. She is a specialist at this distance and she has a second & third to her credit at this course and distance. On the minimum weight, she should take a lot of beating. PORTION CONTROL is my ride in race eight, for David & Ben Hayes & Tom Dabernig. I have had a couple of rides on him and have been successful on him at Caulfield. He has come up with a favourable draw, has soft & heavy form and only being half a kilo off the minimum he should get every chance to be extremely competitive. I now head off to Moonee Valley after my successful trip to Sale earlier this afternoon. I start in race one, with PERFECT CLARITY for Colin Little. She has only had two runs and now steps out to a trip that looks more suitable on her breeding. On her debut, she was outside the leader and at her most recent run, she was ridden back. She does meet two horses in this that beat her home last time so she will need to turn the tables on them. She has also come up with an outside barrier draw but she will be better suited with the step up in trip. ZOFFANY ROSE is my ride in race three for David & Coral Feek. She has been consistent and she won two starts ago. Her last two starts have been at this course where she has gone very well. She also gets into this on the minimum and if she has some luck in running, I can see her winning this. In race four, I ride SAVVY BELLE for Michael Huglin and races in the First Light Racing colours. She has been very consistent this preparation and she was successful two starts back. She now steps up in trip and will benefit from the inside barrier. It is a very competitive race but on her best form she is one of the best chances. WORLD OF HOPE is my ride in race five for Dean Binaisse. I have had a few rides on her in her previous preparations and she has won at this distance. She has come up with an inside gate but she is usually slow to begin and give them a head start. There looks to be a lot of pressure on paper and with the rail in the True, it usually plays very fair. If the track is playing fair and she gets some luck from the inside gate, I expect her to be hitting the line. In race six, I ride PERSIAN EMPIRE for Trent Busuttin & Natalie Young and he wears the Ultra Racing colours. He has been very consistent this preparation and comes into this race with confidence after a dominant Maiden win at Sale. He now steps up in trip which looks like it will suit him. Hopefully he doesn’t have to work too hard from an outside draw and I expect him to be the horse they all have to run down. My only ride is in race one, with DIAMOND BOW for Wendy Kelly. She trialled up well nicely before her debut run where she was a fast finishing second and the winner looks like it will frank the from. She has come up with a wide draw and she did get back on debut so it could be quite similar form the draw but I’ll see what the instructions are. She looks like a horse with very good ability and I expect her to benefit from her first run. I start in race one, with MARCHING ON for Mick Kent. He has excellent form with three seconds from his four starts. His only disappointing run was when he ran last and pulled up lame. He closed off well last time and he has come up with a wide draw today, so he will need luck but he has the right form to win a city maiden. PRAESENTIA is my ride in race three, for Ray Besanko and he is raced by Max Mitchell who I presented with a lifetime membership to the Pakenham Race Club for his contribution to racing and the club which is now known as Racing.com Park. This 9yo Gelding is resuming and he has nice first up form and has been placed at the distance and track. He has come up the inside barrier so he should get an economical run and there looks to be nice pressure. On his best form, and although he hasn’t won for nearly 300 days, it is a race he can win in an even race. In race five, I ride PRIA ECLIPSE for Dan O’Sullivan. She is small in stature but big in heart. I’ve ridden her at her last two starts where she has run well. She now steps up in trip, has a nice barrier draw and she is backing up from a week ago but she doesn’t know how to run a bad race. Like always, she will be ultra-consistent and it would be great to come away with a well-deserved victory today. CLUB TROPICANA is my ride in race seven, for Mathew Ellerton & Simon Zahra. This Mare was very impressive winning at her latest start where she dominated a small field by leading all the way. She now comes back in trip and up in grade by taking on the Open age horses, but for that, she has the minimum weight. She has an outside barrier draw to contend with but she is quite versatile as she has led and came from back in the past. The track pattern will be known by her race and if she has luck from the draw and the track is racing evenly, I would expect her to be one of main chances in this competitive race. My ride in race seven, the Group 2, WA Guineas, is ACHERNAR STAR for Simon Miller. He is a very consistent gelding that has only missed the top two on once and on that occasion, he wasn’t beaten far and didn’t have much luck. He has come up with a nice barrier draw to get an economical run and seems to make his own luck and should find himself forward to the speed. In this very competitive race, my horse will give himself every chance and be one of the main hopes. In race eight, the Group 1 Railway Stakes, I ride ALL OUR ROADS for Chris Waller. He started his racing career in New Zealand before coming to Australia. He had one run in Sydney where he closed off well before coming down to Melbourne where both runs have been solid including last start where he made all the running in the Group 1 Cantala Stakes. He has come up with and outside barrier draw but there looks to be a lot of pressure on paper and if that is the case then that would suit, as he is a keen going horse. If he works well with me, relaxes in the first half of the race and we get luck from the draw he will be finishing the race off strongly. With 53kg and the race run to suit he would be one of the main chances. I start in race four, with MICHELIN for Patrick Payne. This is a 2400m BM64 and this Pentire gelding is having his third run in Australia after starting his career in New Zealand where he was successful at 2200m. He has very good staying credentials and his two runs here have been very solid and he now steps up to his right trip. He does look like he can get keen in his races so if I can have smooth throughout, I expect him to be one of the chances. PRIA ECLIPSE is my ride in race five, for Dan O’Sullivan. I rode her last start in the Country Cup over the Flemington carnival where she drew the outside barrier where she went extremely well. She is very small but all heart and her form shows how consistent she is. Coming back to this grade, from an inside gate and with only 55kg on her back, she is the one they have to beat. In race seven, I ride SEARCH SQUAD for Doug Harrison. He has run extremely well at his last two starts with his last race being at Listed level at Flemington. He now drops back a lot in grade and this race will suit him. He has won at the track and distance and comes up with barrier one. He does look to be quite an aggressive and awkward horse so if we can work well together, his form is far superior to these and he is the horse to beat. It’s the third day of the Flemington carnival, traditionally known as Oaks Day. I start in race one, with SWORN EVIDENCE for Darren Weir. I rode her last start in a SW&P race where she closed off the race really well on a day that was hard to make ground. She now steps out in trip, has a nice middle barrier draw and gets in on the minimum. If she has trained on, she is the horse they all have to beat. CARRAIG AONAIR is my ride in race two, for David & Ben Hayes & Tom Dabernig and he wears the Australian Thoroughbred Bloodstock colours. His last four starts have produced two wins and two seconds. I won on him last start at MV over 1600m and he now steps up to 1800m. He is going extremely well but has come up with an outside barrier draw and if he doesn’t have to do too much work then I expect him to be ultra-competitive, as he has been this preparation. In race three, the Subzero Handicap, which is for grey horses only, I ride TIME TO TORQUE for Kelly Doughty. It is a fantastic spectacle to watch a field of grey horses competing. I won this race last on a horse also from Queensland. My ride today, has really strong form and was successful at his most recent start at Doomben. He is a horse that gets back and does need a little bit of luck but he has drawn a nice inside gate that should see him get an economical run throughout. I expect him to be very strong late. PRIA ECLIPSE is my ride in race four, the Country Final, for Dan O’Sullivan. This is a great initiative by Racing Victoria to put on this race which had heats throughout Country Victoria and is only eligible for horses trained outside the city. She is an ultra-competitive mare who has had four seconds from her last five starts. She has unfortunately drawn the outside barrier and likes to race on the speed and give her all. If she doesn’t have to work too much from the daw and being on the minimum, she will be competitive as she always is. Race five, I ride GRANDE ROSSO for David & Ben Hayes & Tom Dabernig. I won on him three starts ago at Caulfield over 1400m. At his most recent start I finished fourth on him where he was beaten 2 lengths by Ulmann. He has had a few weeks break since his last run, which usually works well for him. We do meet Ulmann 1.5kgs better at the weights and he didn’t handle Caulfield that well and will be suited to the bigger, spacious track of Flemington. He will be one of the main chances. THELBURG is my ride in race six, for John Sadler. I rode him when he resumed last start at Moonee Valley and he was never tested in the straight. He has had two runs down the Flemington straight and has been disappointing, However, he had excuses both times as the ground was soft. He races better on top of the ground which he will get today. With luck in running, he should take a power of beating. FREE FLY TOO is my ride in race seven, for David & Ben Hayes & Tom Dabernig. I won on him at Kilmore in a BM58 last start when had the blinkers on for the first time and they really did the trick. He has come up with a wide barrier draw but has confidence from his last start win and the step up in trip shouldn’t be a problem. If he gets a nice run from the draw he should be competitive. In race eight, the Group 1, Kennedy Oaks, I ride RELIABLE DAME for Anthony Freedman and she wears David Kobritz Musk Creek Farm colours. She was successful in breaking her maiden status at Ballarat two starts back and then stepped sharply up in trip and came from last to finish strongly against the boys in the Geelong Classic. I rode her last time and have a good understanding of her. She does get back, so will need the track to be playing fairly and allow horse to make ground. I do expect her to be strong at the end of the extended trip. SHE’S POPULAR is my ride in race nine for David & Ben Hayes & Tom Dabernig. She has only had one start for one win which was at Kilmore where she made all the running and won softly in the end. She now steps up to this Group 3 race but by choosing this race, it gives me the indication they think a lot of her. She does look like she has plenty of potential and if she handles the straight and has come on from her run, she is going to be competitive in this extremely strong event. It’s the first Tuesday in November, Melbourne Cup Day, the race that stops the nation. I start in race one, a Group 3 for the 2yo Fillies, with HAVANA HEAT for Robert Smerdon and she wears the Ultra Racing colours. She is on debut as are all the others except for two horses. It will be interesting to see how she competes at her first day at the races. She is trialling nicely and I expect her to show something. TAHANEE is my ride in race two, for Darren Weir and she wears the Sheikh Mohammed Bin Khalifa Al Maktoum colours. I have ridden her at her last two starts at Stakes grade and she now steps back into a Handicap race. She has come up with a nice barrier draw but there are still a couple of horses in this that have beaten her home recently. She is a very bold, tough galloper and I expect her to be there for a long way. In race three, I ride OZI CHOICE for Darren Weir. He is a horse that usually races on speed, is very tough and takes a lot of running down. Unfortunately, he has drawn a wide gate, so hopefully he doesn’t have to do too much work at the start as it will be telling in the end. If we can get into a nice forward position and he relaxes nicely, I expect him to take a lot of running down. PROPERTY is my ride in race five, for Robert Smerdon and he wears the Price Bloodstock colours. I rode him last start when he resumed against the open age horses in Group company. He has now been well placed, even carrying 59.5kg, as he meets these horses better on his rating. I have galloped him since his last run and have been very happy with his progression. He tends to get back in his races, so he will need some luck and it is his first time down the straight. If, he does handle the straight and have luck in running, he will be winning this. Race six, I ride WANTED DIVA for David & Ben Hayes & Tom Dabernig and she wears the Australian Thoroughbred Bloodstock colours. I have had one ride on her and was successful last preparation at Moonee Valley. Her two runs this time in, haven’t shown her true form. She has come up with an inside barrier draw so she should get an economical run and give her every chance to find her best form. 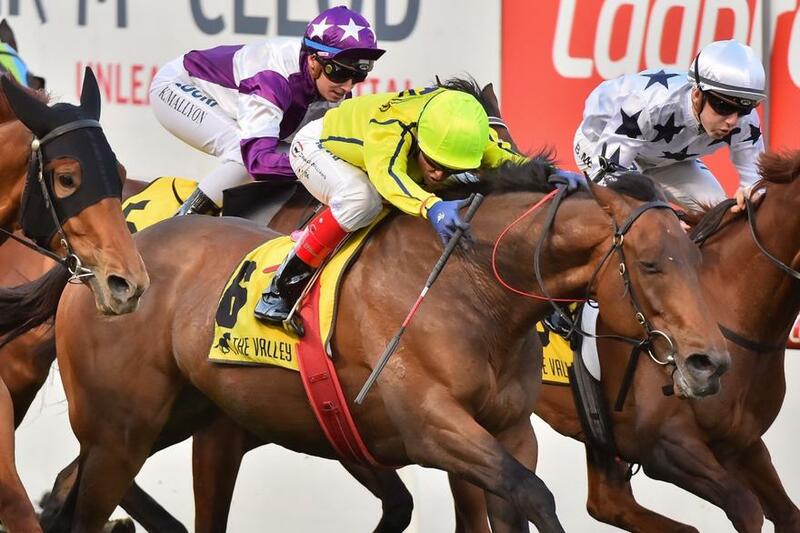 WALL OF FIRE is my ride in race seven, the Group 1, Emirates Melbourne Cup for Hugo Palmer. He has great staying form in England and also as a 2yo winner at 1200m, so he does have nice acceleration. He is a horse that gets back in his races so he will need some luck in a big field. He has had one start in Australia which has been important statistically for horses from Europe that win the Melbourne Cup. He finished second in the Herbert Power and that form was franked a week later with winner and fourth horse of the Caulfield Cup coming through that race. On that day he had 58kg and he drops down to 53kg today and he’s not a big horse so he will benefit with that light weight. I have sat on the horse many times since his last run and I can report the horse is very healthy, very well and is enjoying his preparation in Australia. Even though, he has come up with barrier 15 he has a lot of the main chances around him. All going well and if I can have luck from around the 1000m mark, I expect him to be right in the finish. Hopefully, he can be the horse to win my first Melbourne Cup and complete my set of the 4 feature races in Australia. SECOND BULLET is my ride in race eight, for Danny O’Brien. He seems to find his best at Flemington, where he is trained. It is a very competitive Listed event but on his best form he will make his presence felt. In race nine, I ride OBERLAND for Darren Weir. He has been mixing his form this preparation and on his best run he will be very competitive. FUHRYK is my ride in race ten, the Group 3, Hong Kong Jockey Club Stakes for David & Ben Hayes & Tom Dabernig. She found her right form last start when she dominated a 1200m race at Caufield with a big weight. She also comes into this with the maximum weight penalties due her success last preparation and latest start. She steps up to the 1400m which should suit her. She has a nice inside barrier draw which should give her every chance to run out the trip with the big weight. On her best form, they all have to beat her. Today is Derby Day, one of the best days on the Australian racing calendar. I start in race one, the Group 2, Carbine Club Stakes with SNITZEPEG for Darren Weir. He comes into this race off two dominant wins and steps up to the 1600m for the first time and those horses he competes against from last start, he meets better at the weights. He has drawn a nice middle barrier and with confidence from his last two victories, he is going to take a lot of beating. BERKSHIRE LADY is my ride in race two, the Group 2, Wakeful Stakes for Danny O’Brien. She is still a maiden but has been closing off her races really well. Unfortunately, she has drawn an outside barrier again as she has previously. It will be interesting to see how the track is playing and what my instructions are as she comes into this with blinkers on for the first time. If she does have luck from the barrier, I expect her to run a very cheeky race. In race three, the Group 3, Skip Sprint Stakes, I ride DESERT LASHES for Shayne Cahill. She is a horse that has only been out of the top two on one occasion. She has an amazing record with eight wins from ten starts. She did start her racing in Darwin and then went to South Australia. At her latest run at Caulfield, she was beaten just over two lengths in the same class of race. This is her first time down the straight and this is a strong race but she has a great winning record and I expect her to be very competitive. JUKEBOX is my ride in race five, the Group 1, Coolmore Stud Stakes for Aaron Purcell and he wears the Colin McKenna colours. His record is excellent with three wins and two seconds from his five starts. When he raced down the straight two starts ago he did a lot wrong but he does have a gear change in this so hopefully he has learnt from that experience. From an inside barrier draw, and if the track is racing even, I’ve got the right horses around me which are the main form horses and those that have speed. In this very competitive edition of the race, he is definitively amongst the chances. 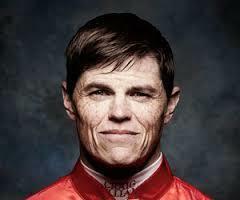 Race seven, I ride NOW OR LATER for Robert Smerdon and Qatar Bloodstock. She won at the track two starts ago and now steps out to a distance that she has been successful at in Europe and I think it is a distance she will appreciate. With a full field, it is a very strong race but with a nice barrier draw and her being a tough horse, I expect her to take a lot of beating. JUSTICE FAITH is my ride in race seven, the Group 1, AAMI Victoria Derby for David & Ben Hayes & Tom Dabernig for Lucky Racing. He won two starts ago when he successful in his maiden and then stepped up to the Geelong Classic last start where he closed off very well. He has come up with an outside draw, so he will need luck and if he gets that, I expect him to be strong at the end of this extended trip. 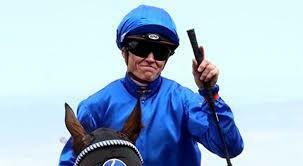 In race eight, the Group 1, Kennedy Mile, I ride WYNDSPELLE for Michael Kent. Since arriving from New Zealand, he has put together a nice profile. He comes into this on the minimum weight after competing at Weight-For-Age last week. If he backs up well and has luck in running, with no weight in this competitive race, he will make his presence felt. I start in race one, with MISS BLUMENTHAL for Anthony & Edward Cummings. She is on debut as most are in this race. She has galloped at Moonee Valley and trialled extremely well at Caulfield leading into this. I sat on her on Thursday morning, she isn’t overly big but is compact and gave me a nice feel. If she brings her trial form to the races, she will take a lot of running down. THELBURG is my ride in race two, for John Sadler. He has excellent first up form, only being out of the placings on one occasion. He has come up with a nice middle barrier draw, there looks to be nice speed in the race and I expect him to get a nice smooth run from a favourable barrier. In race three, I ride EXPERIMENTATION for Robert Smerdon and he wears the Ultra Racing colours. He has only had the three starts and never finished back further back than second. At his most recent start he finished second at the course and distance. Unfortunately, he has come up with a wide barrier draw and it will be interesting to see how the track plays after last night’s racing with the rail in the same position. He has only ever been on speed so hopefully the track is playing even and we get every chance form the draw. TAHANEE is my ride in race five, for Darren Weir and she wears the Sheikh Mohammed Bin Khalifa Al Maktoum colours. I rode her last time at Caulfield where she wasn’t beaten far. She is now well treated at the handicap conditions of this race but it has come up a very strong race. She is a horse that races on the speed and having ridden her I know her a bit better now. She is quite aggressive and likes to get her races over and done with quickly. If I can her travel smoothly and have a nice run throughout, she is going to make her presence felt. Race seven, I ride BANISH for James Cummings and Godolphin. I have three rides on her for two wins and they both have been at Cranbourne. At her latest win, she defied the pattern of the day and made ground, Again, she has come up with a wide barrier and there doesn’t look to be too much pressure so it will be interesting what instructions I get from James. If she has luck from the draw, she is the one that they have to beat. ANTONIO GIUSEPPE is my ride in race eight, for Chris Waller. He has never raced in Melbourne but his Sydney form is very strong. At his last start, he ran in the Group 1 Metropolitan over an extended trip and now drops back to the mile. He has a wide draw and I would expect him to be off the speed so if the track is allowing horse to close off, it will give him his best chance. In the last, race ten, I ride THE SLEDGEHAMMER for John Sadler. He has only had three starts and is still a maiden. At his latest start I rode him at the same distance but took on Open age horses when he closed off really well and was just denied victory. He gave me a lovely feel and if he has come on from that run, we’ll find out where he sits for a VRC Derby tilt next week. I start in race one, with DODGING BULLETS for Symon Wilde. I finished second on him last time at Caulfield and I’m looking forward to him stepping out in trip. He has a very favourable draw and in this small field he should make his own luck and is the one to beat especially carrying the minimum weight. CARRAIG AONAIR is my ride in race two, for David & Ben Hayes & Tom Dabernig and he wears the Australian Thoroughbred Bloodstock colours. I’ve had two rides on him for a win and a second both at Sandown. Since then he has raced at Flemington and now has his first run at Moonee Valley. He has drawn well, there looks to be nice pressure and he should get a nice run just behind the speed and gets in on the minimum. He has been so consistent, I would expect him to be one of the main chances again. In race three, I ride IMPERATOR AUGUSTUS for Darren Weir and he wears the Yulong colours. He had his first run for the new stable and in Melbourne last start at Caulfield where he went extremely well. He goes up in grade and drops to the minimum weight. He has drawn favourably and after going well first time in the Melbourne direction at Caulfield I would expect him to be better suited tonight and take a lot of running down. MILE HIGH is my ride in race five, for John MacMillan. He has been very consistent winning two out of his last three starts and placed on the other occasion. He does race on speed but being a 955m, a lot of these horse go quick and it looks like it will be run at high pressure. I expect my horse to be there for a long way. Race six, I ride PYGMY for James Cummings and Godolphin. She is third up this preparation and is getting out to a distance where she was successful on two occasions last time in. She has drawn a wide barrier and it will be interesting to see what instructions I get. Once she gets to this trip she usually finds her best form and her best form includes a second to Egg Tart in the Group 1 Queensland Oaks, which will be good enough in this. VEGA MAGIC is my ride in race seven, the Group 1 WFA, Manikato Stakes for David & Ben Hayes & Tom Dabernig. Last start he finished second in The Everest, where he drew wide and the track was favouring those in front and on the inside. I think his performance warranted him to be labelled the best sprinter in Australia and if he brings that same form tonight, I believe that will back up my assessment of him. He will be able to use his good draw and I expect him to be too good tonight. In race eight, I ride RUETTIGER for David & Ben Hayes & Tom Dabernig. Even though he finished last at his most recent start I was never able to fully test him as he didn’t have clear running in the straight. He has come up with an awkward barrier and he is a horse that needs everything to go right for him but if he does get a good run it would be no surprise to see him winning. Today I’m off to Geelong for their feature day of the year, the Geelong Cup meeting. I start in race one, with SERACENA for David & Ben Hayes & Tom Dabernig and she wears the Contract Racing colours. She has only missed a place twice in her career and at her first up run she ran very well in a solid race at Flemington. She has come up with a favourable barrier draw, stays at the same distance and she looks like the horse they have to beat. UBIN THUNDERSTRUCK is my ride in race two, for Darren Weir. I have had one ride on him which was three starts ago over the same distance where I was successful on him at Sandown. I have a good understanding of him and on that day, he drew favourably and he has again today. Being only 2.5kgs off the minimum he is well weighted, however, it is a competitive race and the horse that beat him home last time is in this race but I have a slight weight advantage on him. I’m hoping to make it two from two on him. In race four, I ride COUNTRYMAN for Mick Kent. This is his fifth run since coming across from Perth. He has been consistent without winning. He has come up with an outside barrier draw and steps up un distance. On his best form and with luck from the barrier he is going to be competitive. VOSTOK is my ride in race five, for Henry Dwyer. He did show excellent form when he started racing winning his first three starts from 1200 to 1600m so he shows strength and versatility. He has come up with a nice middle barrier draw, there does appear to be a lot of pressure and if he recaptures his early form, he is going to be competitive in this. Race six, the Listed, Geelong Classic, I ride RELIABLE DAME for Anthony Freedman. 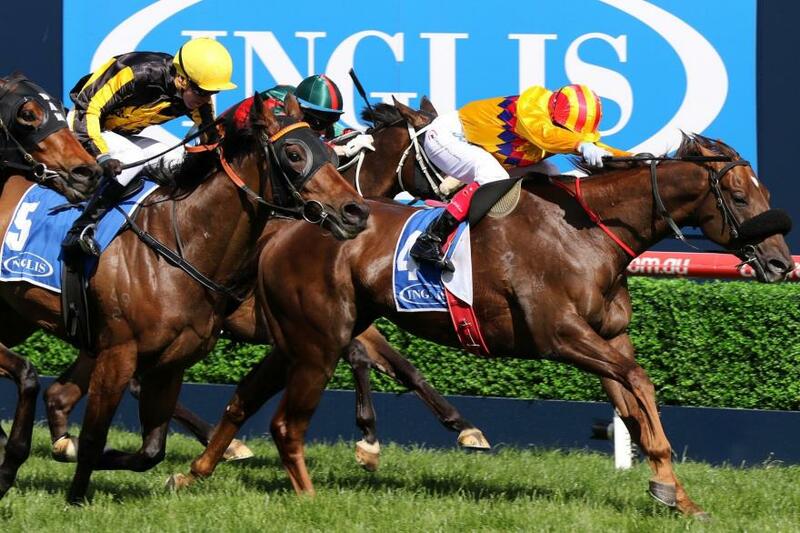 This race gives horses the chance to head towards the Derby or Oaks over the Flemington carnival. She was very impressive coming from last at her most recent outing and she steps sharply out in trip, which looks like it will suit her. She has come up with the outside barrier but if the track is playing evenly and horse can finish off, I expect her to be improved from her last start victory. GALLIC CHIEFTAIN is my ride in race seven, the Group 3, Geelong Cup for Darren Weir and he wears the OTI Racing colours. I have had one ride on him nearly a year ago when I was successful on him at Pakenham and since then he has stepped up through the grades. 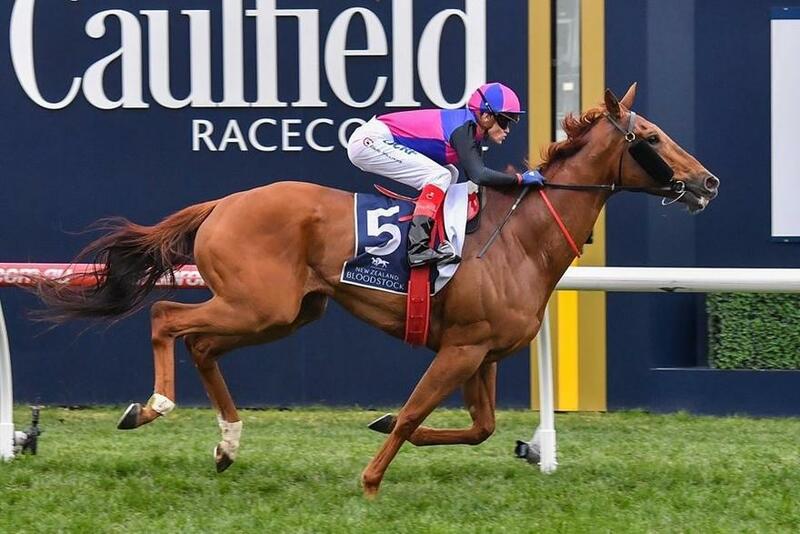 He comes into this race with excellent form, having been defeated by Lord Fandango last time in the Herbert Power who subsequently ran fourth in the Caulfield Cup. Also, fourth in the Herbert Power was Boom Time, the Caulfield Cup winner. He comes into this race 1kg off the minimum, the inside barrier draw and he is the horse they all have to beat. In race eight, the Listed, Rosemont Stud Stakes, I ride FILLE CHAMPAGNE for Pat Hyland. I’ve had one ride on her twelve months ago when I was successful. She resumed after a long layoff with a very nice run. She has come up with a good draw where she should get an economical run and in this very competitive race I expect her to be one of the main chances. AMADEUS is my ride in race nine, for Mick Kent. He is now third up, has a middle barrier draw and as always, I expect him to be very competitive. 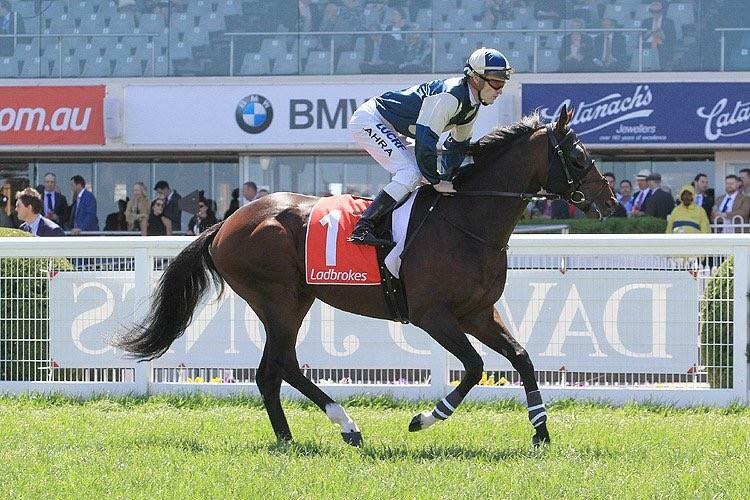 Very pleased to announce that I will be partnering Wall of Fire for Hugo Palmer in Emirates Melbourne Cup. My only ride is in race four, where I ride FREE FLY TOO for David & Ben Hayes & Tom Dabernig. This 3yo Teofilo colt is yet to a miss a place in his three runs to date. Last start, not a lot went right when he was trapped wide and the saddle slipped. He stays at the mile today but he does go to BM58 grade out of Maiden company. With the addition of blinkers for the first time he should be hard to beat. I start in race one, with SWORN EVIDENCE for Darren Weir. She is a lovely lightly raced filly that has been competitive in all three starts. She steps up to the 1400m for the first time, has a nice middle barrier draw and I expect her to be strong late. In race three, the Group 3, EthereaI Stakes I ride STATE OF PLAY for Gerald Ryan and she wears the John Singleton colours. She is having her first run going left-handed but she races on speed and looks an out and out stayer, so if we can utilise the barrier draw she should be there for a long way. SPECTROSCOPE is my ride in race five, the Group 3, Coongy Cup for James Cummings and he wears the Godolphin colours. This is his first run at 2000m since he has arrived in Australia. At his previous runs at the distance overseas he hasn’t missed a place, so it is a distance he always performs well at. He has drawn the inside, he is a get back run on horse and I expect him to be one of the main chances. Race six, the Group 3, Moonga Stakes, I ride GRANDE ROSSO for David & Ben Hayes & Tom Dabernig. I have only had two rides on him for two wins. He drops back from a Group 1 to a Group 3 and he has come up with a favourable draw. He always seems to make his own luck and this looks like a race where I can make it three from three on him. PROPERTY is my ride in race seven, the Group 2, Caulfield Sprint for Robert Smerdon and he wears the Price Bloodstock colours. He was a very exciting 2yo in the Autumn and successful at Group 3 level on two occasions. He now comes back as a 3yo and takes on the older horses. He pleased me in his official trial and he is a horse I think highly of. He has drawn well and should be closing off hard and I’ll be disappointed if he doesn’t win. In race eight, the Group 1, Caulfield Cup, I ride AMELIE’S STAR for Darren Weir. She is a mare that is undefeated at this distance and at her latest run she was successful at Flemington over 2500m where she looked very dominant beating home last year’s Melbourne Cup winner. She now drops down to 51kg but she has drawn an awkward barrier, so it will be interesting to see how the track is playing and what the instructions are. She is in form with no weight and she is one of the main chances. NOW AND LATER is my ride in race nine, the Group 2, Tristarc Stakes for Robert Smerdon and he wears the Qatar Bloodstock colours. She was impressive last start when she won at the same distance and she now goes up 2.5kg for that win but she is an in-form mare. This is a competitive race but I expect her to be one of the main chances. In the last race, the Listed, Alinghi Stakes, I ride FUHRYK for David & Ben Hayes & Tom Dabernig. She hasn’t been beaten far in her two runs in this preparation but I feel she hasn’t has shown her Autumn form but if she does recapture that form, she will be winning. Tonight I’m off to Pakenham for one ride. In race three, I ride VITANI for Wendy Kelly. This filly is on debut and I’ve trialled her on two occasions – once officially at Cranbourne and then unofficially since. I have been impressed with the way she has felt and I think she has lovely scope to measure up to a Stakes filly. She has come up with a wide draw but if she handles her first time at the races, I expect her to be winning. Today I’m off to Caulfield for the middle day of their 3-day Carnival. I start in race three, with LILAS for Robert Smerdon and she races in the Northern Farm colours of Katsumi Yoshida. She has only had two starts and has never finished further back than second. She did start this preparation with a victory on the Synthetic at Geelong and she now steps up in trip. I have trialled her officially at Cranbourne leading into this and she gave me a nice feel. She is in an extremely strong race but she has drawn well and gets in with the Filly’s allowance. She should get an economical run and make her presence felt. Race four, I ride BRYNEICH for James Cummings and he goes around in the Godolphin colours. He had very solid 3yo form. Before he resumed, I trialled him on Heavy ground at Cranbourne where he gave me a nice feel. On resumption, he went to Benalla and ran extremely well. He has come up with a very nice gate and in this competitive race he is one of the main chances. TAHANEE is my ride in race five, the Group 3 Ladies Day Vase, for Darren Weir and she wears the Sheikh Mohammed Bin Khalifa Al Maktoum colours. She’s raced twice in Australia and ran well on both occasions. She has had a gap between her last run and today’s race but has trialled nicely leading into this. She does seem to want to get her races over and done with quite quick and I will have to do my best to work with her and get her to relax and run out the trip. She does look like she will get a lovely run behind the speed and I expect her to be there at the finish. In race six, the Group 3 Blue Sapphire Stakes, I ride JUKEBOX for Aaron Purcell and he wears the Colin McKenna’s colours. I have ridden him in all four starts and his only defeat last start was down the straight in the Danehill Stakes at Flemington. He was extremely lost down the straight but he is back to his home track and around a bend. Despite the outside draw, I believe he is the superior horse in this race and he should be winning on an even track. RUETTIGER is my ride in race seven, for David & Ben Hayes & Tom Dabernig and he races in the Carrick colours. He has come up with a very favourable inside barrier for him, where he should be able to ride the speed and give himself every possible chance. If he races well for me and settles, in this competitive race he will take a lot of beating. In the last, race eight, I ride DODGING BULLETS for Symon Wilde. I have been successful on him at this track and distance before. He is fourth up today and he has run extremely well at all three runs this preparation. He comes into this with a nice barrier, the right rating race for him and I expect him to be winning. Today I’m off to Cranbourne for their Cup meeting. I start in race two, with CAPTAIN JIMMY for Trent Busuttin & Natalie Young and he wears the Ultra Racing colours. He was victorious in his trial at Cranbourne before making his debut run when he was beaten less than two lengths after making all the running. I expect him to make improvement in a race that doesn’t look overly strong. MULLIGAN FALLS is my ride in race three, for my father, Allan & my brother, Jason and he races in the Price Bloodstock colours. He ran fourth on debut and now steps up in trip and has the addition of winkers. He has come up with a nice barrier draw and I did trial him officially on Monday and was happy how he trialled. I expect him to be one of the main chances. In race five, I ride BATTLECAMP for Anthony Freedman and he wears the Eales Racing colours. I was successful on him last preparation and he has a lot of ability but he is quite awkward and needs races run to suit. He is stepping out to 1600m in a small field and if he races well for me, he will be winning this contest. BANISH is my ride in race six, for James Cummings and Godolphin. She was successful when she resumed on a Heavy track at Cranbourne when coming from last. She has only missed a place once and that was in Listed grade when not beaten far. She did run well last time at Caulfield and finished in front of the 1000 Guineas winner from yesterday. That form is superior for this race but she does have a wide draw and usually gets back. If she has luck from the draw and the track is paying evenly, I expect her to be winning this. Race eight, the Listed, Cranbourne Cup, I ride NOZOMI for Anthony Freedman and Godolphin. He has been very consistent this preparation as he boasts a win and two seconds. He now drops to the minimum weight, has a good barrier draw and if he has luck in running he will be one of the main chances in this very competitive Cup. THE SLEDGEHAMMER is my ride in race nine, for John Sadler. He has only had two starts and is still a maiden. He has closed off nicely in both of those races and he steps up to 2000m for the first time and has the addition of winkers on for the first time. Ha has drawn wide but he has an astute trainer and for him to be taking on a rating race instead of a maiden, it makes me think the trainer has a high opinion of him. I’m looking forward to my ride on him as he might put his hand up to be a VRC Derby contender. In race ten, I ride CHATUCHAK for James Cummings and Godolphin. This mare had very strong formlines in Sydney and ran behind Merriest at Caulfield her last start, so this is a drop back in class. If she finds her Sydney form, she should be competitive in this. Today is a very exciting day for Australian racing as it is the inaugural running of The Everest, the richest turf race in the world. I start in race three, the Listed, Reginald Allen, with SWEET DEAL for John Thompson. She had very solid 2yo form last season and has come back this preparation to win her maiden and also be very competitive against Alizee, who is favourite in the 1000 Guineas at Caulfield today. She has come up with a nice middle barrier draw, is back in trip and is a horse that looks to roll forward. If she doesn’t have to work too hard, she will take a lot of running down. JAMINZAH is my ride in race five, for Chris Waller. He has been ultra-consistent this preparation where he had very solid form in Melbourne through the winter and has continued with that form in the early part of the Spring. He is a horse that does get back, so if the track is playing evenly and the race is run to suit, I expect him to be closing strongly especially with a light weight. In race five, the Listed, Sydney Stakes, I ride KURO for John O’Shea. I was successful on this horse in the Brisbane Carnival last year so I have a good understanding of him. He resumed with a solid run when not beaten far and he has won and always goes well second up. If I can get some luck from a wide barrier, I expect him to be right there in this extremely competitive race. VEGA MAGIC is my ride in race eight, the $10 million, WFA, TAB Everest for David & Ben Hayes & Tom Dabernig. I’ve had two rides on him for two Group 1 wins with the most recent being the Memsie Stakes over 1400m. He is now back to a sprinting trip where he has won 9 times from 12 runs. He has come up with a tricky outside barrier draw and it is his first run right-handed but the stable has been very happy with him working in that direction. He is a tough horse and since coming across to Victoria, he is undefeated. He is a winner and in this very tough and exciting race, I expect him to be the one they have to beat. My ride in race five, is CORUSCRATE for James Cummings and Godolphin. He resumed last start and went well in a strong race in town. He is now second up and has the blinkers applied for the first time. He has drawn a nice barrier and in this competitive race, he is the one they have to beat. In race eight, the last race, I ride ACHI BABA for James Cummings and Godolphin. He has had a freshen up since his last run on a Heavy which he didn’t seem to handle. He is now back on top of the ground, has the blinkers on for the first time, and if he finds his 2yo form, he will take a lot of beating. Today, I’m racing at Mornington where the rail is out 7 metres and the track is in the Good range. My ride in race one, is ADMIRAL MICHELLE for Wendy Kelly. This Commands Filly is resuming this preparation. At her first start, she wasn’t beaten far where she showed a lot of speed. She has trialled twice coming into this, officially and unofficially on rain affected ground where she had natural speed and was solid throughout. If she brings that to the races she will take a lot of beating.